A label is a gateway into an alternative universe of unseen histories and hidden meanings. Even a humble pack of apples from the local supermarket has a story to tell. A Protected Designation of Origin (PDO) covers products that are "produced, processed and prepared" in a specific area using a unique method of production. A Protected Geographical Indication (PGI) protects "production, processing or preparation” from a particular area. Traditional Speciality Guaranteed (TSG) covers products with ‘traditional character’ and ‘customary names’ that distinguish them from their competitors. All 3 labels affirm the region of production, method of production and quality of food and drink. Many products are rooted in our culture. These may also be guaranteed by further national quality assurance schemes. So, for example, readers will also find terms like ‘appellation d'origine contrôlée’ (AOC) on French wines. National standards represent the economic and cultural capital invested in foods and drinks. Packaging doesn’t just tell what something is, who made it or even how good it is – it tells us how important it is. Apples are important to the UK. At this time of year we’re eating them, bobbing for them, making cider out of them. The Institute of Food Research estimates that home grown apple production is around £107 million to the UK economy. A packet of Bramley apples makes a good read. In the UK, only one apple is protected by the EU regulations. The Armagh Bramley apple was registered as a PGI in 2012. Recognising the unique qualities of Bramley apples grown in the county of Armagh. Readers of packaging now need to take care. It’s quite easy to think that PDOs, PGIs and TSGs have something to do with trade marks, which point to the makers of products. In fact indications of the origin of a product are not trade marks. One way or another, they describe characteristics of goods, they don’t distinguish them. ‘Bramley’ isn’t a trade mark either. Varietal names describe types of plant. New varieties are being created and they can be protected as named plant varieties. Protection for distinctive, stable, new varieties lasts for 25 years for most plants, 30 years for trees. After that period, as is the case with most intellectual property, the ‘new’ plant becomes public property. 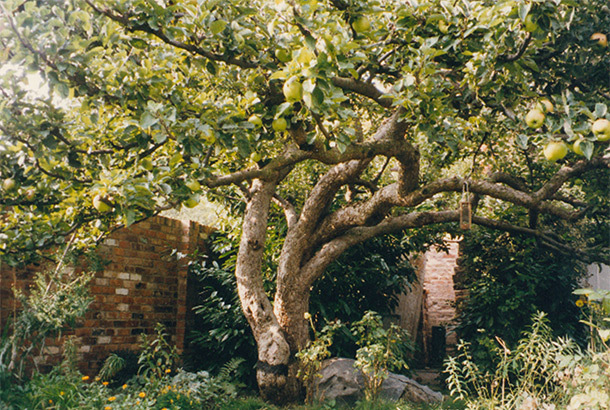 The Bramley apple was ‘invented’ in 1809 when a young girl, Mary Ann Brailsford, planted a seed in her Nottingham garden. The local butcher bought the house. In the 1850s a horticulturalist called Henry Merryweather took cuttings. This was on the understanding that the ‘new’ trees carried the butcher's name - Matthew Bramley. The rest is history – people liked cooking with Bramleys. Now, the Bramley is unchallenged as the premier British cooking apple. It is worth around one third of the value of total British apple production. But the Bramley is an old tree and competitors are creating new weapons of apple destruction to threaten its supremacy. Apples, like all products, are updated. As far as eating apples are concerned varieties like Braeburn, Gala and Royal Gala have grown in popularity. British growers are shifting away from ‘traditional’ varieties. New trade marked apples are also carving out slices of the market. ‘Jazz’ is the trade mark for a variety called Scifresh, developed in New Zealand and grown under license in the UK. ‘Pink Lady’ is the trade mark for Australia’s Cripps Pink. It cannot be grown commercially in the UK because its owners require specific conditions. Packages of intellectual property rights are being used to create apple brands with new stories to tell. They are eating into the space once occupied by our Cox’s Pippins. The Bramley growers of Armagh have been the first to respond to the challenge. What Britain needs now is a new variety of apple to take to the world and a registered trade mark to launch it.